Establishing a country requires more than just drawing lines on a map (obviously). As the international community prepares to welcome what will be the newest nation in the world, the citizens of South Sudan are formalizing their own distinct national identity, built upon a pride rooted in the long journey to independence. 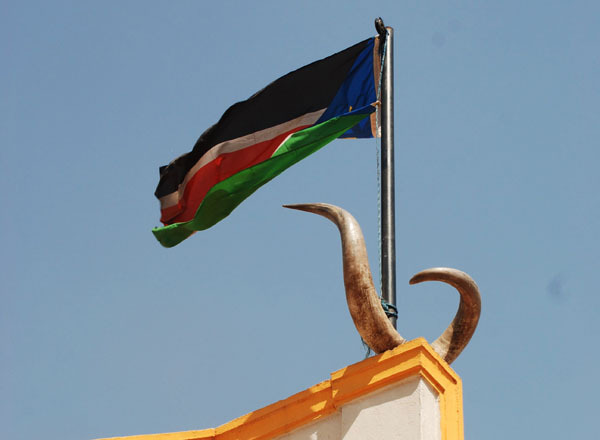 South Sudan already has its own symbol, the flag flown by the Sudan People’s Liberation Movement. Now the soon-to-be Republic of South Sudan has released its national anthem – fittingly written by young people, who will be so critical to the country’s future. Penned by a group of students and teachers from Juba University, the choice was deemed the winner of a talent show in which dozens of entries were received. Both in the democratic process by which the song was selected and in its upbeat tune, a departure from the more militaristic Sudanese one, the anthem is setting the stage for a proud new national identity. For justice, liberty and prosperity shall for ever more, reign. Whose blood cemented our national foundation.